Next story in Citizen Gamer Is iPad gaming living up to the hype? Motion controls, 3-D gameplay, shiny new gadgets — yeah, plenty of exciting new gaming technologies made the headlines at this year's Electronic Entertainment Expo. But ultimately, it's the games that truly matter. At E3 — the game industry's biggest trade show — developers and publishers unveiled and showed off throngs of games for every system and for every kind of player out there. Alas, these games are still in the works, which means we might not see them for months or perhaps even years. After spending time perusing the offerings at this year's expo, here's a look at the most promising games of E3 2010 — the games we just can't wait to play. Also, be sure to check out our list of the best original games of E3. Tell us:Which game from E3 are you most looking forward to? Crytek is showing off its game engine muscle with this beefy, beautiful shooter which will play in 3-D (for those with the gaming set-ups to display such things), not to mention good-ol’ fashioned 2-D.
“Crysis 2” takes place in New York city during an alien invasion. After trying out this first-person shooter in 3-D, we can say that the added dimension certainly made the gameplay feel more instinctual and the environment more immersive. 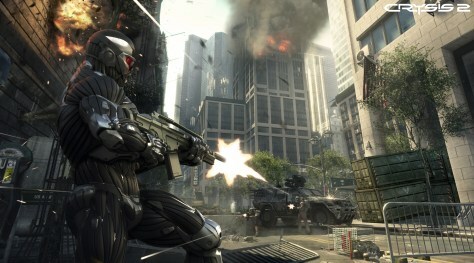 “Crysis 2” is due to arrive on store shelves this holiday season. No, we didn’t get to see much of “Portal 2” when it was unveiled in a teaser trailer for the first time at Sony’s press conference Tuesday. But that’s all right. We loved the first “Portal” game and couldn’t be happier to hear that the space-bending, puzzle-solving, brain-tingling hit from Valve is going to make a return in 2011. Of course the question is: Will we get cake when it finally arrives? This WWII first-person shooter franchise has been on hiatus since 2007. But it gets a reboot this fall, not to mention a new war-torn location and time period. That is, the game is set in modern-day Afghanistan and is based on the stories of real soldiers who’ve experienced combat in that troubled region. “We’re putting you into their boots and telling their stories of what they see and do and how they try to survive and come back home,” says Frank Gibeau, president of the EA Games Label. He says real soldiers have been extensively consulted throughout the process of creating the game to ensure that it is tastefully done. “Medal of Honor” will launch Oct. 12. This third game in the “Deus Ex” franchise arrives as a prequel to the acclaimed original game which made a splash way back in 2000 with its genre blending first-person shooter/RPG gameplay. “Human Revolution” takes place 25 years before the original game’s story and will offer new and improved shooting/RPG action in a gritty “Bladerunner-esque” world of cybernetic augmentation, corporate corruption and intrigue. It’s scheduled to launch in 2011. If any massively multiplayer online role-playing game could hope to reach the excessive success of “World of Warcraft,” it’s “Star Wars: The Old Republic.” Two words: Star. Wars. This game, due to launch in 2011, lets players explore the “Star Wars” universe on a grand scale and like never before. At E3 this week, the developers announced a player vs. player battleground set on Alderaan and also revealed that each player will get their own starship to call home sweet home. 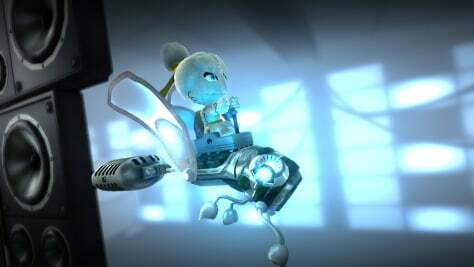 The first “LittleBigPlanet” was not only utterly adorable it was also mindblowingly creative. Players got to have not only a blast exploring eye-popping handmade worlds but, more importantly, the game gave players the tools to create their very own eye-popping handmade game levels themselves. Sony promises us “LBP 2” will be even more robust — so much so that it will let players create not just game levels, but entire games of their own as well as compose their own music and even direct their own cinematic pieces. “LittleBigPlanet 2” will also make use of Sony’s new motion-control system called Move. It’s scheduled to launch in November. Sony is certainly putting a lot of tech into this first-person shooter. 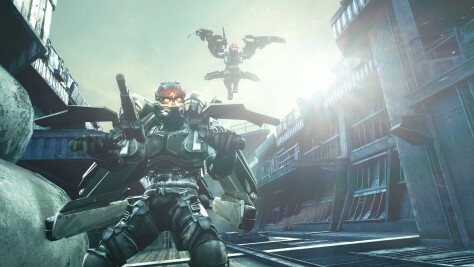 “Killzone 3” — which picks up the story where the much-lauded “Killzone 2” left off —will feature 3-D graphics and will also take advantage of Sony’s Move motion controls. 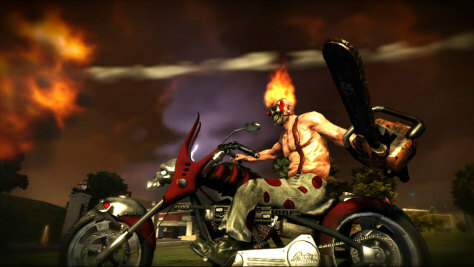 In a surprise announcement, Sony revealed at their press conference Tuesday that the famed and freakish “Twisted Metal” car combat game would arrive exclusively on the PS3 in 2011. The game will have a robust online system, highly destructible environments and, of course, a wicked sense of humor. And we mean wicked. 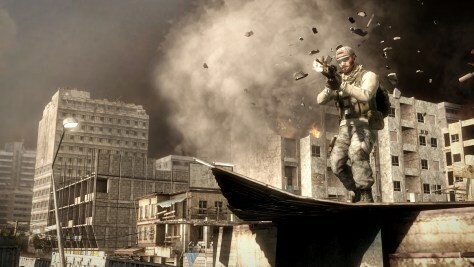 Storywise, “Reach” acts as a prequel to the previous games with gamers playing through the campaign as a member of Noble Team. The team is a squad of Spartan soldiers who are the last line of defense against the Covenant and the destruction of Earth. 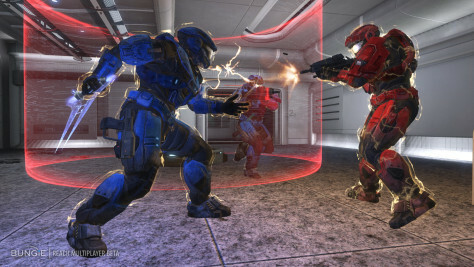 On Monday, Bungie revealed that “Reach” will be the first “Halo” game to feature space combat. Meanwhile, the multiplayer experience has been dramatically expanded. We won’t have to wait long for our latest “Halo” fix  the game arrives Sept. 14. The “Gears of War 3” campaign demonstration on Monday certainly left us wanting more. The folks from Epic showed off the game’s four-player co-op mode. The battle was intense, with epic mutating enemies giving the crowd a good show. They also revealed the new Beast mode, which turns the tables and lets gamers play the role of the Locust army and battle against the humans. All in all, we can’t wait to see how they bring the “Gears” trilogy to a close. The game arrives in stores April 5, 2011. Much like “Rez,” “Child of Eden” appears to blend music and colorful visuals into one unique, gorgeous, kaleidoscopic shooter that we can’t wait to get our hands on. In fact, for the Xbox 360 version, we will be very much getting our hands on it. That is, players will be able to interact with the game using Microsoft’s forthcoming Kinect motion controllers. During an E3 demonstration, we were shown how a player could move their hands in the air to play the game. It was cool, trippy stuff. 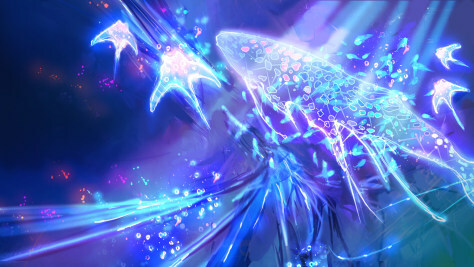 Hands down, “Child of Eden” is the most exciting Kinect game we’ve seen so far. It may have looked a bit goofy during the Microsoft press demonstration, but we suspect this Kinect-controlled dance game is going to be the kind of game that everyone wants to bust out at the party. Kinect’s full body motion controls just make good sense for a dance game. 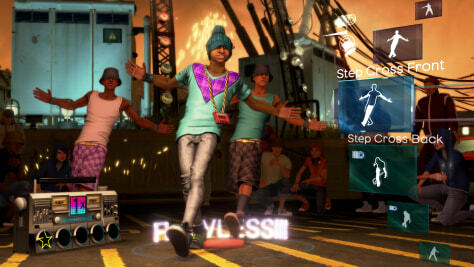 Plus, thankfully, “Dance Central” offers tutorials for those of us with two left feet. The “Legend of Zelda: Skyward Sword” demonstration at Nintendo’s press conference Tuesday may have hit a snag or two, but we’re still looking forward to Link’s latest adventure (arriving in 2011). Players will get to use the Wii Remote and Nunchuk controllers to move Link’s sword and shield. And we’re especially happy that this game makes use of Nintendo’s MotionPlus gadget, which should make the Wii’s controls far more accurate and responsive. Mickey Mouse makes his first appearance on the Wii in a surprisingly promising-looking game that mixes aspects from the platforming and RPG genres. The game pays tribute to Disney’s animation history, finding Mickey in a place known as the Cartoon Wasteland populated with many familiar characters. Interestingly, the game employs a morality system — which means the player’s actions and choices have consequences and affect the game world and Mickey himself. All in all, it looks like a unique new take on a mouse we all thought we knew. 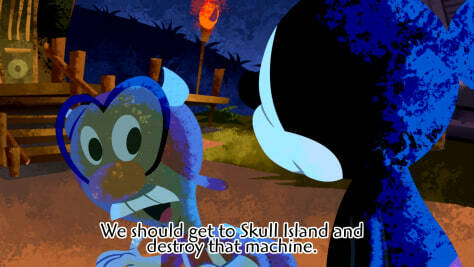 "Epic Mickey" is due this holiday season. The last “Kid Icarus” game appeared way back in 1991. But, he’s finally back. And talk about a modern makeover. This week Nintendo revealed that “Kid Icarus: Uprising” will arrive in 2011 as a launch title for Nintendo’s forthcoming 3-D portable game machine — the 3DS. We don’t know much about the game, but we’re definitely looking forward to seeing the Kid in glasses-free 3-D.